Who: 4th – 5th grade students. Invite your friends too! What: A SuperStart weekend consists of exciting speakers, interactive experiences, loud music, creative art, powerful worship, and group time. It is a fun, high-energy trip where 4th and 5th graders learn more about God with other students from the Midwest. How: We will depart from the church at 4:45P on Friday, so be here by 4:30P and eat before you come or pack a sack dinner. We will take a bus to Eastview for the conference. We will stay at First Christian Church Friday night. On Saturday, we will arrive back at FIRST around 4:00P. Meals: We will provide snacks late night Friday, breakfast foods on Saturday, and lunch on Saturday. 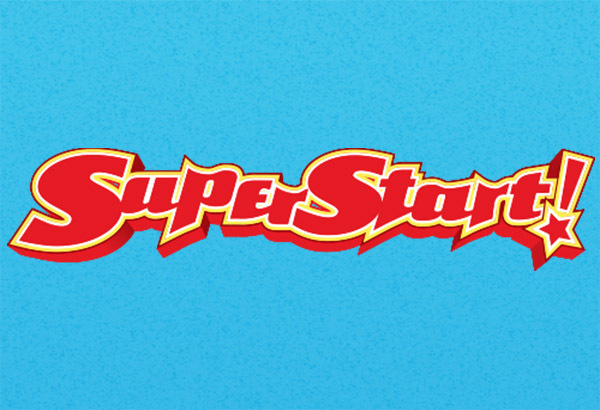 What to Bring: Clothes for 1 day and 1 night, toiletries, Bible, and money to shop at the SuperStart store (optional). A drawstring bag may be helpful. What NOT to Bring: DS’s, iPods, iPads, Kindles, MP3s, or other electronic devices. Cell Phones: Students may bring phones, but are encouraged to leave them in their bags except for designated times to check in. Leaders will all have cell phones for students to use to call home. Go to https://www.ciy.com/superstart for more information regarding the conference. Questions: Call us at 217-356-1649 or email us at jackie@fcc-online.org.